We’d love your help. 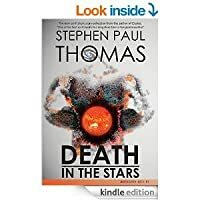 Let us know what’s wrong with this preview of Death in the Stars by Stephen Paul Thomas. After publishing Cluster (“one of the best science fiction novels published from a Hungarian a Death is taboo. Death is incomprehensible, inexplicable; and, yet, inevitable. 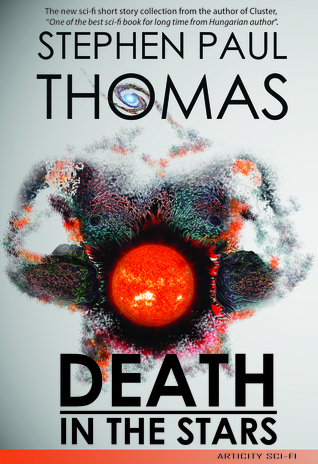 To ask other readers questions about Death in the Stars, please sign up. I loved reading this book. I felt really transported to new worlds and I loved the ideas that the stories and characters raised for me. Many of these stories have stayed with me long after I read them. The writing style is straightforward, but profound. And although there are many classic sci-fi elements—star ships and cloning and alien encounters—they’re full of such drama and beauty, they took my breath away. Well written short stories who kept my attention from beginning till the end. I liked especially the stories about crime and I shouldn't wonder if Stephen Paul Thomas would write more similar in the future. At the end of each short story you are amazed at how you felt off balance by the plot: Intriguing till the last word...And will to have more. So I look forward to reading his novels once available in English! This is my second book recently published in Hungary. According to the prereaders this book also reached the excitment level of the first one. This book contains 11+1 short stories from the world of the pervious novell, Gócpont (Cluster, will be published in English 4.4.2014.). The stories are about the big question: will the humans die in the future same way as today? Will we able to fight against the death of individual and global death of humankind? will the soul of ors be saved or survived lon This is my second book recently published in Hungary. This book contains 11+1 short stories from the world of the pervious novell, Gócpont (Cluster, will be published in English 4.4.2014.). The stories are about the big question: will the humans die in the future same way as today? Will we able to fight against the death of individual and global death of humankind? will the soul of ors be saved or survived longer then our body? You can find several answers for these major question in this book. "when I read his tories they always remind me to Ray Bradbury due to his constant humanistic view which shines thorugh his book". "Amikor a novelláit olvasom Ray Bradbury neve jut eszembe a mindenhol jelenlévő humanizmusa miatt"